447 µS Conductivity Calibration Solution - Use this calibration solution to calibrate your Conductivity Probe and PM2 for RO/DI water quality and other freshwater applications. Conductivity probes can be used for many different functions from letting you know the salinity of a tank to the quality of RODI water. We suggest calibrating conductivity probes once every 3-6 months to keep readings reliable. 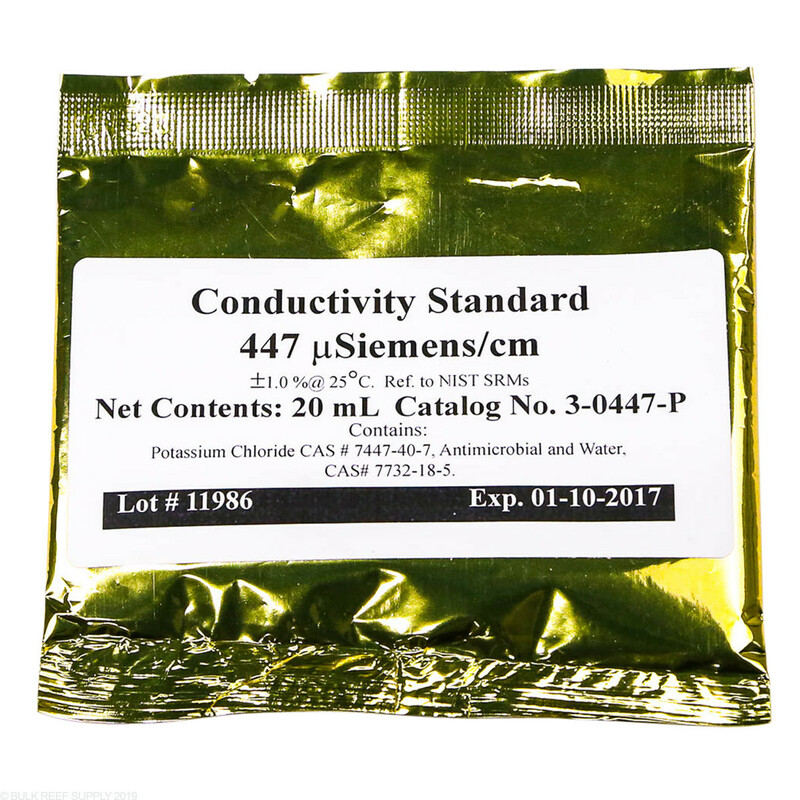 447 µS Conductivity Solution - Used for calibrating conductivity probe for freshwater applications. 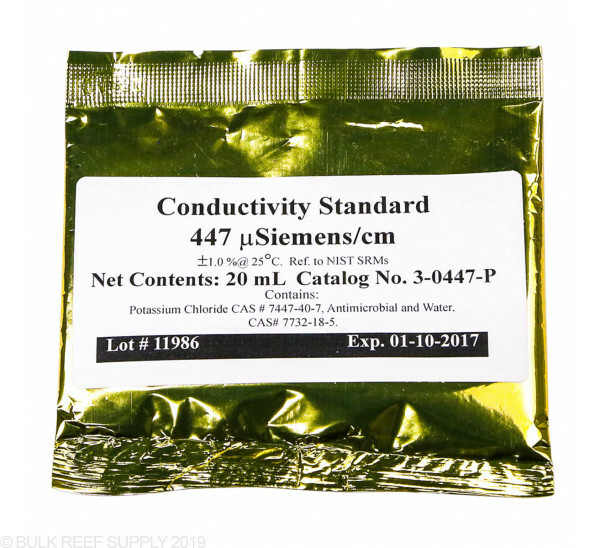 53.0 µS Conductivity Solution - Used for calibrating conductivity probe for saltwater applications. I bought one of these for setting up my conductivity probe, just for giggles after calibrating my probe I ran a few drops on my Milwaukee digital refractometer, ran consistently at 1.018SG. I thought my refractrometer was off so I checked it against my tank 1.026, RO 1.000, and the calibration soluton 1.025). opened a second one from the same lot and same readings.... no wonder why my probe given bad readings. stick with the Milwaukee, much better investment. I used other brands Conductivity Calibration Solution to calibrate my Neptune Apex Conductivity Probe. The probe did not calibrated correctly (many trails). The reading would be higher (60 ppt) then what it actually was (35 ppt). I decided to order Neptune Systems Conductivity Calibration Solution. My conductivity probe is now back online. You will want to double check, and if you should happen to misunderstand and miss the fact that you need to calibrate in AIR first, you could contaminate this while reprocessing, and wish you had another. You can make your own if you have the right equipment and experiment, and I do, but I want lab-grade references at some point. You will want more than one with your new system.